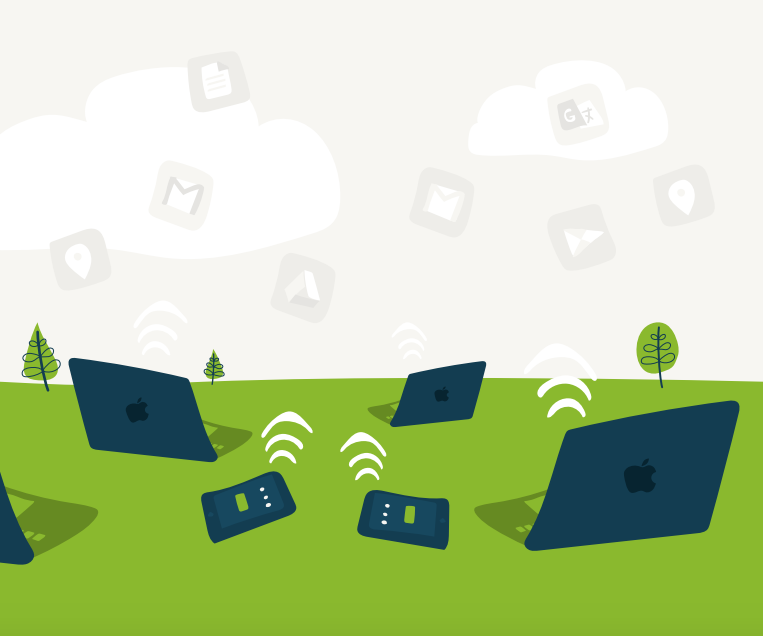 When you are searching for an IDaaS (Identity-as-a-Service) solution, you would like it to connect to all of your IT resources. Ideally, no matter the platform, provider, protocol, or location of your IT assets, your users could easily connect to them and your IT admins could easily manage it all. The issue at hand is whether Google IDaaS Linux authentication is supported. Before we answer that question, we need to step back and discuss Google’s approach to IDaaS. Google’s G Suite Directory is their focus on directory services and identity management. Their goal has been to leverage those G Suite identities to access and control other IT resources. 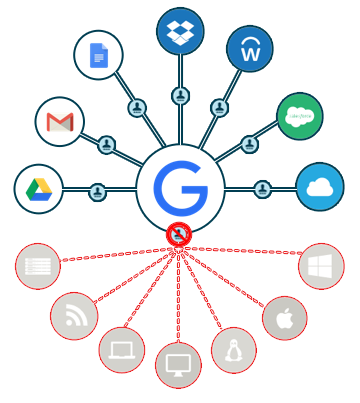 To date, though, G Suite identity management services is controlling authentication to Google Apps and a select few web applications via their SSO services through OAuth and SAML. Unfortunately, Google IDaaS conceptually doesn’t support the process of Linux authentication or device authentication in general. Google’s Identity Management Services may have aspirations to compete against Microsoft Active Directory®. But if they do, that it will be at an undetermined date in the future – if and when Google identities can authenticate with systems, on-prem applications, WiFi, manage devices, and much more. For now, G Suite and Office 365 are locked in an intense battle for ownership of an organization’s email platform and productivity suite, which isn’t likely going to spill over to the identity management world. Microsoft Active Directory has owned that space for almost two decades. Google’s IDaaS approach isn’t going to change that. The problem is that IT admins are struggling with how to manage their on-prem IT resources and cloud infrastructure. While AD may be their on-prem directory service, it doesn’t do a great job with non-Windows applications and systems. 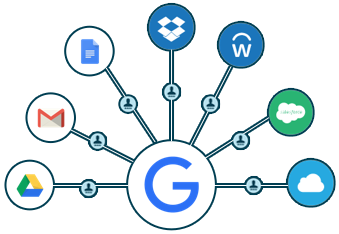 G Suite Directory, meanwhile, is a great solution for Google Apps, but not much else. So, what do you do if you are a G Suite customer? 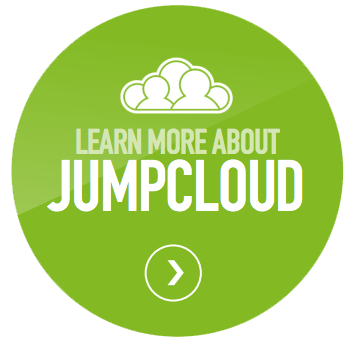 How do you centralize your identity management infrastructure to work with both cloud and on-prem IT resources? A new generation of IDaaS platform called Directory-as-a-Service® is seamlessly integrating with G Suite and on-prem IT resources. 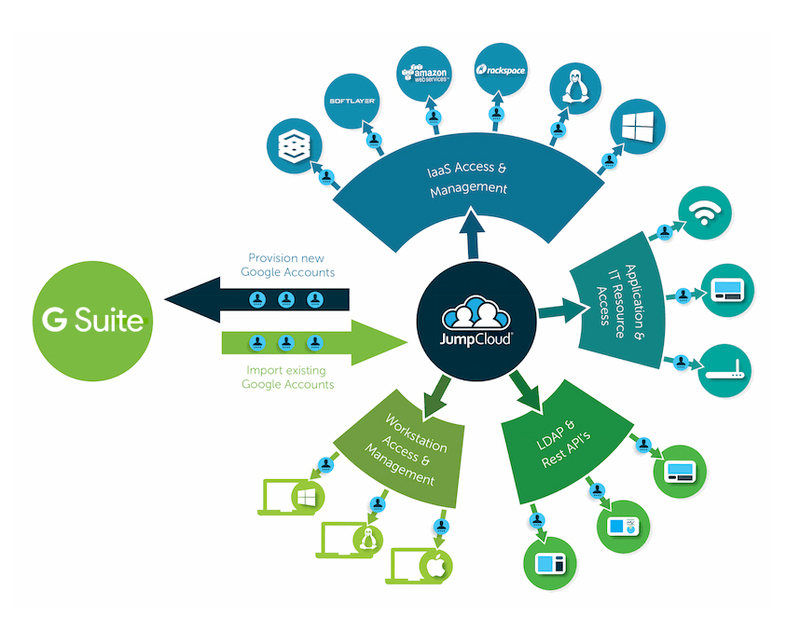 As an independent, cloud-hosted directory service, the cloud identity management solution securely manages and connects user identities with systems, applications, and networks regardless of location, provider, protocol, and platform. Specifically, the virtual identity provider authenticates Linux devices on-prem or in the cloud (e.g. AWS). In a sense, Directory-as-a-Service is the replacement to Active Directory while G Suite is the alternative to Microsoft Exchange or Office 365. 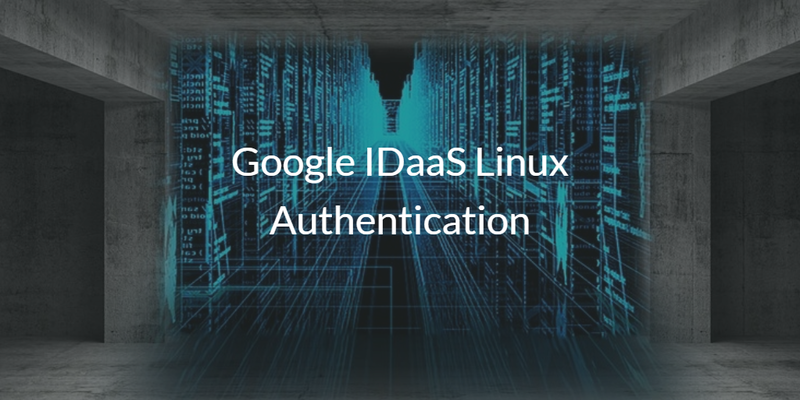 If you would like to learn more about Google IDaaS Linux authentication, drop us a note. Alternatively, try out our Linux authentication support for yourself. You can sign up for a free account where you get 10 users free forever.